♥ A British Sparkle ♥: Hey, Big Spender! It was recently my birthday - see 'what I got' birthday post here. With birthday's, come's money (usually) and gift cards, now I've ended up with a collective haul that includes more nail polish - addiction is out of control! At time of purchase ASOS had a sale on, I of course took advantage by ordering a few, much needed tops. I hardly ever purchase clothes so these were well deserved. 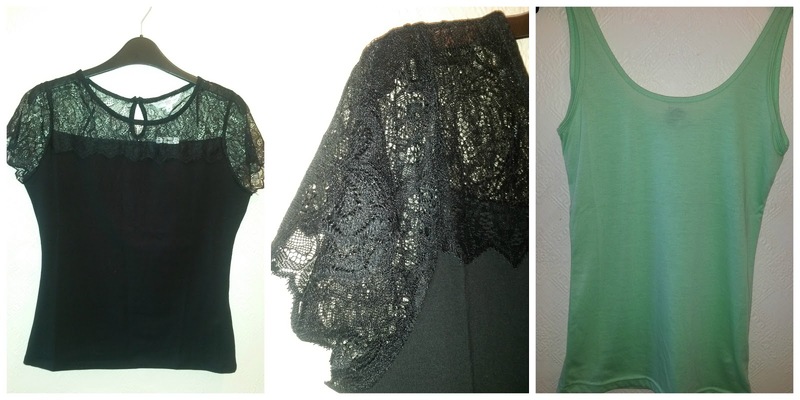 The first top is from New Look, it's a lace yoke panel t-shirt and cost me £6.00. A little boring but vest tops are simple and easy, look great in Spring teamed with jeans and fantastic in Summer with a pair of shorts. I'm loving mint shades now and even though this top is sheer it was great value at just £3.50 and is ASOS brand. 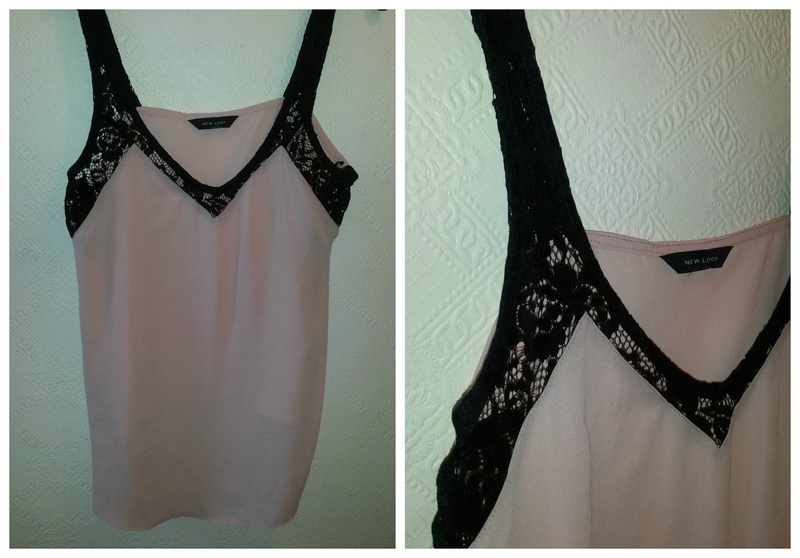 This top is also from New Look, a lace trim cami. Again it's quite sheer on but very pretty can be worn in the day time and great for a meal out with the fella. This was great value at £7.00. I also got an extra 10% off so really grabbed a few bargains. 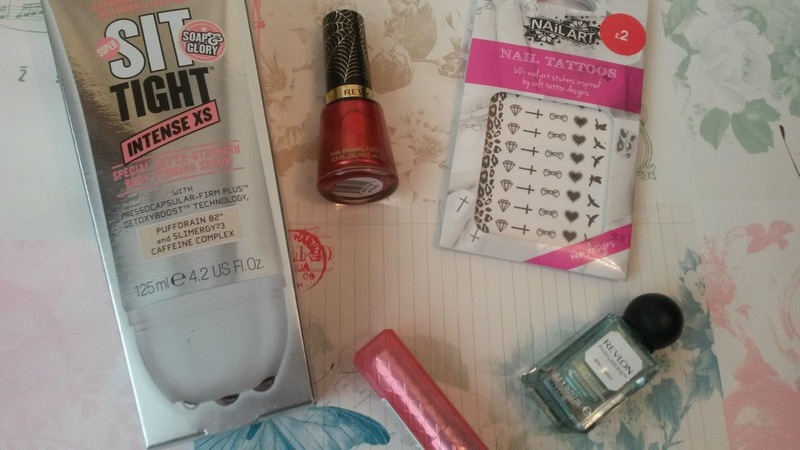 I got a Boots voucher for my birthday and indulged in some beauty treats. I've only ever owned one of Revlon lip butters, considering how popular they were/are that's really bad. 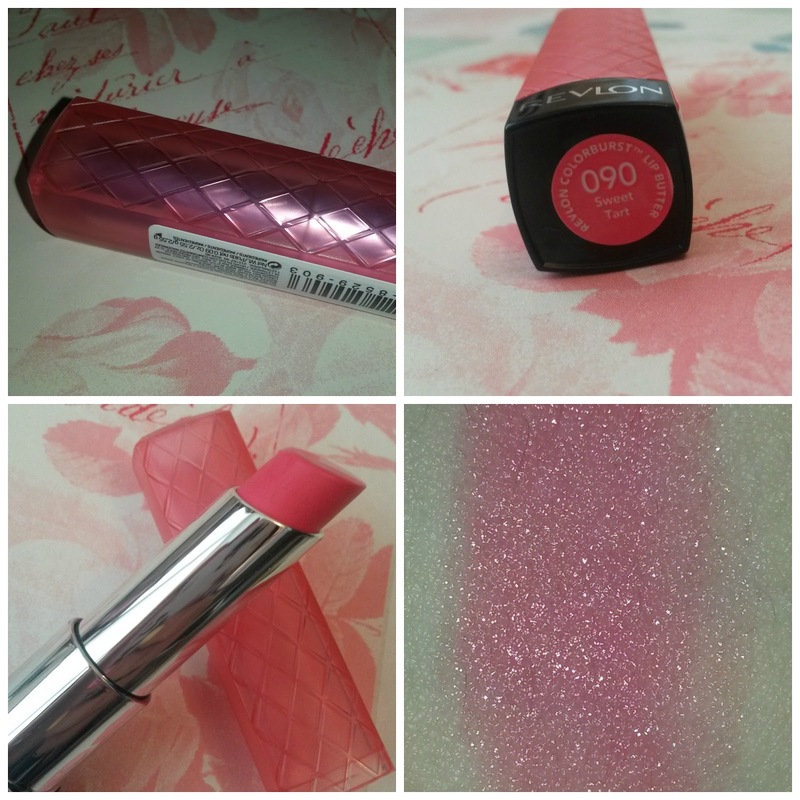 I picked up a spring shade in Sweet tart - £7.99 each. Revlon had a 3 for 2 so in my defense one of these were free. 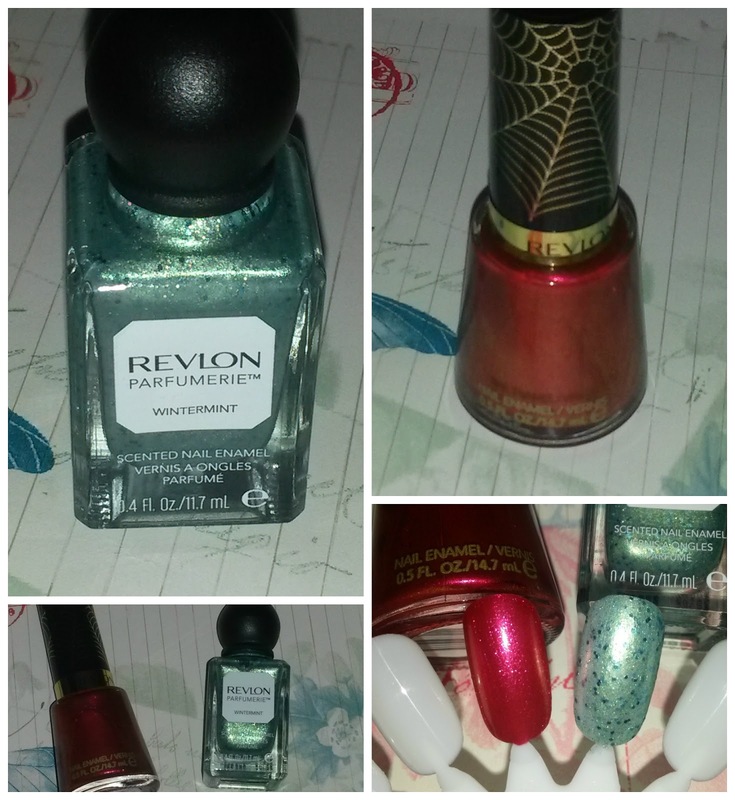 The Revlon fragrance polishes aren't one's I've seen around much on blogs and so on. I love mint greens, I'm obsessed so I picked up Winter Mint, it's a little on the icy blue side of mint though I thought I'd get away with it as a Spring shade too. Inside are flicks of blue glitters. I'm not 100% sure on the fragrance but I believe I get a whiff of mint in there, in fact the smells reminds me of my Grandad, when he was alive he'd eat these mint humbugs and the scent really reminds me of him, which is always a nice thing. - £6.49 each. Spiderman 2 is out and with that 6 limited edition Revlon shades. I got Spidey Sense which is a beautiful red with orange/blue undertones to it and a lovely shimmer. The coverage is amazing, 1 coat. - £6.49 each. 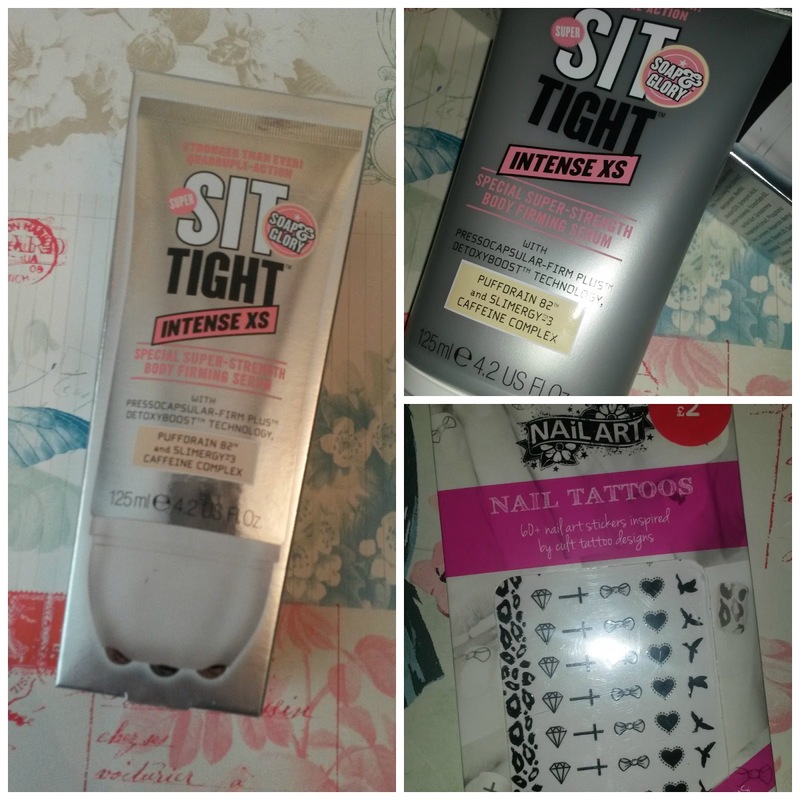 Soap & Glory sit tight intense xs. I've wanted to try this for so long but the price always put me off - I believe it's about £16.00 full-price, so when I saw it on offer for £4.13 I snapped it up without a second thought. This is suppose to be a special super-strength body firming serum. I'm all about improving body firming and toning up, whether it works or not is for another post. I love doing my nails as you can tell, so picked up these nail tattoos for £2.00, you get 60 in a pack, these will be good for jazzing up an accent nail. I love my books and currently reading the last in the Divergent series, Allegiant by Veronica Roth. 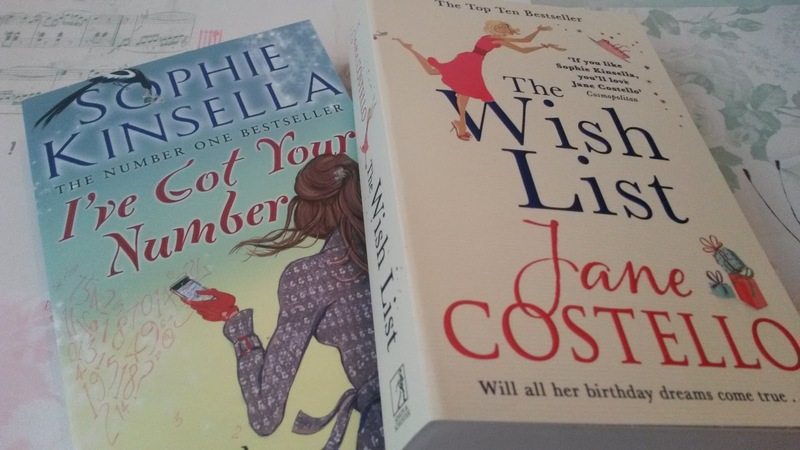 I have a few freebies on my Kindle and despite the lack of space for anymore books I still picked these two up, opps! I've never read anything by either author but they are suppose to be funny and both currently bestsellers. These were £3.50 each or two for £6.00 at Asda. I was going to purchase the I love... series by Lindsey Kley but don't want to pay the full-price for each book, so think I'll get them bit by bit in the future. I recently picked up a few more bits and pieces so keep a look out for Hey, Big Spender! #2. Also look out for reviews coming soon on some on most of what you see above. I never realised sweet tart is so sparkly, nice choices Kate, xoxo.